Gideon Tomlinson was born in Stratford, Connecticut, on December 31, 1780, the first child of Jabez Huntington Tomlinson and his wife, the former Rebecca Lewis. Jabez H. Tomlinson had served in the Revolutionary War and was one of the officers who guarded the quarters of British spy Major John André during his trial. He went on to serve Connecticut in the State House of Representatives for many terms from 1790 to 1815 representing the town of Stratford. Gideon Tomlinson was something of a new breed of Connecticut politician in that he had no role in the American Revolution and he did not hold office during the Federalist period. Tomlinson graduated from Yale in 1802, just as his father had done 22 years earlier. He went to Virginia for a year to be a private tutor and to study law. When he returned to Connecticut he continued his studies and became a lawyer in 1807, the same year that he married Sarah Bradley. Their only child, Jabez Huntington Tomlinson, was born in 1818 but died at the young age of 19 in 1838. Mrs. Tomlinson passed away in 1842. In 1846, Gideon married Mrs. Lydia Wright, widow of William Wright of Bridgeport, Connecticut. While Tomlinson grew up during the era of the Federalists, and his background was similar to many previous governors in that he went to Yale and became a lawyer, he did not enter politics until 1817. In that year he was elected to the Connecticut State Legislature as a member of the Toleration Party whose main platform was to displace the Federalist Party from control of state government, and to create a new state constitution which would allow for the complete disestablishment of religion in Connecticut government. His rise within the General Assembly was rapid as he was chosen Clerk of the House in October 1817, and Speaker of the House in 1818. Tomlinson was selected as a delegate to the 1818 state convention to draft the new state constitution. 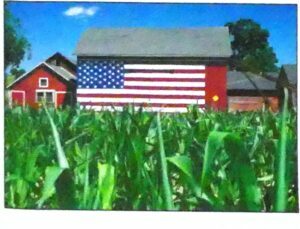 He was in fact one of three individuals chosen to represent Fairfield County on the committee of twenty-four to draft a new constitution for presentation to the general convention for debate and approval. In 1819, he was elected to the U.S. Congress and served there until 1827, when the Jeffersonian-Republicans in Connecticut, who had grown tired of incumbent Governor Oliver Wolcott, nominated him for that position. Tomlinson held off an independent challenge from Governor Wolcott and won the election by a vote of 7,681 to 5,295. He was reelected to the post of governor with little or no opposition for the next three years. Tomlinson’s four years as governor were influenced by his earlier years in the U.S. Congress. He was a little more liberal in his outlook than most of his fellow Republicans in Connecticut. He urged passage of legislation and reforms that were not too different from what Oliver Wolcott had wanted. However, other than its consideration of new Senatorial districts for Connecticut, the General Assembly had little interest in the programs that Tomlinson advocated. As governor he received an honorary degree of Doctor of Laws at the first annual commencement held August 2, 1827, of Washington College, which is today known as Trinity College. As a result of the presidential elections of 1824 and 1828, the single Democratic Republican party system began to dissolve and splinter into several competing factions. One faction, following the leadership of General Andrew Jackson who had lost the election of 1824, created the Democratic Party which continues to this day. The followers of President John Quincy Adams became known as “National Republicans” and acted to thwart the policies of President Jackson after his election to the presidency in 1828. Tomlinson placed himself in the anti-Jackson camp, and became a National Republican. In March 1831 he resigned as governor to become Connecticut’s U.S. Senator having been elected to that position the previous May. He served one term. As a member of the U.S. Senate he served as chairman of the Committee on Pensions during the Twenty-third and Twenty-fourth Congresses. He also was a founding member in 1834 of the American Congressional Temperance Society, which promoted abstinence from all forms of alcohol as well as from the trafficking of it. While Gideon Tomlinson was a member of the U.S. Senate, noted artist and inventor Samuel F. B. Morse made a portrait of him which is owned by the Corcoran Gallery in Washington, D.C. A copy of this portrait is found in Samuel Orcutt’s work, Henry Tomlinson and his Descendants in America. Tomlinson ran once again for governor in 1836, this time on the Whig Party ticket, as the National Republican party dissolved after the presidential election of 1832, but he lost the election to incumbent Governor Henry W. Edwards by a vote of 19,980 to 17,023. As his U.S. Senate term came to an end in 1837 he once again ran as a Whig for his old congressional seat in Fairfield County but lost the election that April to incumbent Democrat Thomas T. Whittlesey. This was the last time Governor Tomlinson stood for public office. Once Gideon Tomlinson left the U.S. Senate in 1837, he became President of the newly-chartered Housatonic Railroad Company. He died of consumption in Fairfield, Connecticut in 1854 and is buried in Stratford’s Congregational Cemetery with his first wife and son. The Tomlinson Middle School in Fairfield is named in his honor. “Congressional Temperance Society.” New York Observer and Chronicle, March 9, 1833, pg. 38; digital images, American Periodicals Series Online, (http://www.proquest.com/ : 04 June 2010). Connecticut Courant, April 11, 1836, pg. 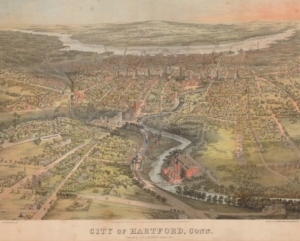 2; digital images, Historical Hartford Courant, 1764-1922 (http://www.proquest.com/ : 4 June 2010). [Governor race loss]. Dexter, Franklin Bowditch. Biographical Sketches of the Graduates of Yale College with Annals of the College History, Vol. 5. June, 1792-September, 1805. New York: Henry Holt Company, 1911 [CSL call number LD 6323 .D5]. National Cyclopedia of American Biography. New York: James White & Company, 1898- , s.v. “Tomlinson, Gideon”, vol. X, p. 334 [CSL call number E 176 .N27]. The New Yorker, April 8, 1837, pg. 3; digital images, American Periodicals Series Online, (http://www.proquest.com/ : 04 June 2010). [Congressional race loss]. Orcutt, Samuel. Henry Tomlinson and his Descendants in America. New Haven: Price, Lee & Adkins Co., 1891 [CSL call number CS71 .T66 1891]. Roll of State Officers and Members of General Assembly of Connecticut from 1776 to 1881…, Hartford: Case, Lockwood & Brainard Co., 1881 [CSL call number History Reference Conn Doc G 25 ro]. “Summary.” Christian Register, August 11, 1827, pg. 127; digital images, American Periodicals Series Online, (http://www.proquest.com/ : 04 June 2010). [Washington College degree]. “Whig Ticket.” Connecticut Courant, March 14, 1836, page 2; digital images, Historical Hartford Courant, 1764-1922 (http://www.proquest.com/ : 04 June 2010). [Governor race loss]. Wilcoxson, William Howard. 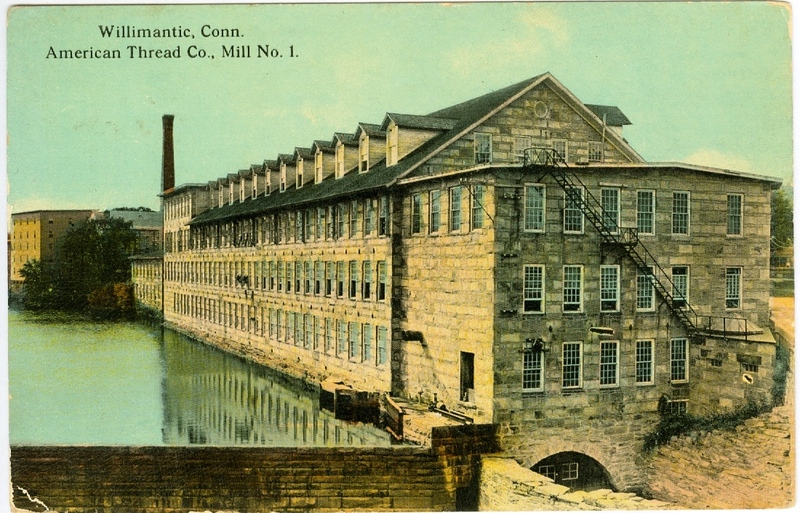 History of Stratford, Connecticut, 1639-1939. Bridgeport, CT: Brewer-Borg Corp., 1939 [CSL call number F104 .S87 W5 1939]. Governor Tomlinson’s papers are located at the Connecticut Historical Society, Hartford. 45” x 39” in its frame, painted by George F. Wright (1828-188l).